Former Gor Mahia coach Frank Nuttall will be looking for a job once again. 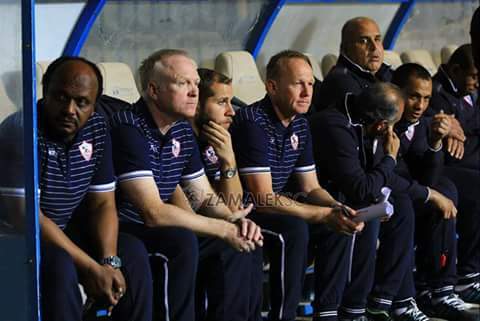 This after Egyptian side Zamalek dismissed all their coaching staff including Alex McLeish who was the head coach and Moussa El-Habashi. Zamalek Chairman Mortada Mansour has been unhappy with Zamalek’s performance. Zamalek are currently second of the league table with 45 points, 11 adrift of leaders and arch-rivals Ahly. He initially asked Mcleish to fire Nuttall and El Habashi and McLeish duly obliged But 24 hours later, Mansour also fired McLeish. They have been replaced by Gamal Abdel-Hamid and Mohamed Helmy, who were appointed as director of football and first team trainer respectively. Gor Mahia fans needed something to smile about after an acrimonious week in which the sponsorship with sportpesa was suspended. It came when old reliable George Odhiambo Blackberry scored the all important goal to give Gor Mahia a 2-0 win over Bandari, the other goal was an own goal by Felly Mulumba. Gor Mahia gradual ascent in the KPL log took another positive step with a 2-0 victory over hosts Bandari this Thursday 28 April in Mombasa. A bizarre deflection off George Odhiambo and Felly Mulumba’s own goal saw the Dockers succumbing to record low 6-game win less run as Gor Mahia temporarily climbed to sixth on the log. The first half of the action saw Marcelo Ferreira boys rolling out an offensive intent against Bandari who also created couple of chances upfront with none able to break the deadlock. Gor kicked off the intent side with their top scorer Jacques Tuyisenge failing to force Obungu into a save twice nodding over the bar in the opening five minutes. Bandari first sniff at goal came from David King’atua who did well picking up a Shaban Kenga pass from the flank but the attacker’s low drive veered wide of Bonny Oluoch’s posts. Other chances at goal saw Khalid Aucho’s 25th minute shot from Ronald Omino ‘s delivery flying over the bar before one of Omino’s effort also met a similar fate three minutes later. Bandari ‘s Kingatua came asking again in the 22nd minute and despite finding the target this time, Oluoch was at hand to parry back his fierce shot back to play before Gor cleared their lines. Gor Mahia coasted to an early goal eight minutes after restart when a clearance attempt by Shariff came off Blackberry’s frame and past unsuspecting Obungu at goal. Twahir responded to goal with double a change summoning Dan Sserunkuma and Victor Ndinya for King’atua and Abege respectively even as most of the dangerous chances went on at their goal end. A fine foreigners exchange between Walusimbi and Tuyisenge almost had the latter doubling the lead 17 minutes later but Obungu was at his vigilant best to thwart the Rwandese danger man using his feet. in spite of the double change spiced Bandari up front surge, with Sserunkuma drawing a booking for Collins Okoth, another chances at their goal had Rwandese striker picking up Kahata only for a poor first touch to spurn another potential scoring chance in the 71st minute. A counter from Duncan Otewa after a Gor Mahia corner saw the full back plundering upfront but Gor’s Musa Mohammed did well to block his tricky cut back in search of his team mates. The final saw Gor up the tempo that was rewarded in the three added minutes from another strange goal. With Enock Agwanda hot on his heels, Felly Mulumba resorted to passing the ball back to Obungu, only to find the custodian unsuspecting once more for a miserable climax of the visitors second goal. The win saw Gor Mahia extended fine run against Bandari with six wins two losses and two draws in last ten games pitting the two. Starting XI – 23. Bonface Oluoch -GK, 14. Karim Nizigiyimana, 21. Eric Ouma, 5. Mohammed Musa (Cpt), 18. Harun Shakava, 6. Collins Okoth,( 20. Ernest Wendo 69’) , 10. Khalid Aucho, 7. Ronald Omino,( 8. Francis Kahata 58’) 9. Jacques Tuyisenge, 25. George Odhiambo,(24. Enock Agwanda 83’) 2. Godfrey Walusimbi. Unused Substitutes – 1. Fredrick Onyango -GK, 22. Jackson Saleh, 17. Ochieng Eric, 27. Jacob Keli. On Tuesday, FKF announced new rules aimed at combating hooliganism in Kenyan stadia. • That a player or team official who by their actions is deemed to cause or aggravate crowd trouble or incite fans, players or team officials to actions that could lead to crowd trouble, match disruption or abandonment will be banned for four matches and incur a fine of Kshs 20,000 for the first offence. A repeat offender will be banned for three hundred and sixty five days (365). • Any player or team official who attacks or attempts to attack a match official will be suspended for three hundred and sixty five days (365 days). The team that the player plays for will be liable for any and all damages caused to the match official(s). a) Lose the match on a 2-0, three point basis. • That a spectator who causes a fight or incites crowd violence will be banned from attending all football matches in the country. It will be the responsibility of the team that he/she supports to ensure that the spectator is denied entry. If a club is found guilty of not enforcing this rule the Federation will take appropriate action against the club. This action could be a fine, playing home matches in empty stadiums or deduction of points. • If a supporter of a particular team invades the field of play with an intention to cause violence on players or match officials, the club that he supports will be fined Kshs 100,000 and play three of its consecutive home matches in an empty stadium. • These rules will be form the basis of far reaching regulations aimed at tackling the escalating vice of hooliganism and violence in our football. The rules will come into force immediately. Gor Mahia official Ronald Ngala is unhappy that FKF is comparing Gor Mahia to AFC yet the incident with AFC fans in Mumias was much worse. Ngala also says that they have not officially heard from sportpesa. Ngala and other officials would be best advised to take seriously the threat from sportpesa and reach out to the sponsors. In addition to the rules outlined by FKF, the club should condemn the actions of hooligans and outline the steps it will take. A suggested by this column several months ago, a portion of the sponsorship money should be spent on beefing up security for both home and away games. There is no reason a fan should have been allowed to accost the referee in the manner he did in front of TV and newspaper cameras. Sportpesa CEO Ronald Karauri for his part has said that the sponsorship will be re-instated when the clubs meet specific conditions set by Sportpesa. “We have summoned the officials of the teams to meet within the week and we will reinstate this sponsorship once we are satisfied that actions are being taken to curb this vice that has gripped football. Gor Mahia will therefore need to work diligently and show a higher level of seriousness if they want the sponsorship re-instated soon. Unruly fans have once again put the club in a tight financial spot as betting firm sportpesa has announced the suspension of its sposorhip for Kenya’s two biggest clubs. Betting firm SportPesa has announced its suspension of sponsorship for local football giants Gor Mahia and AFC Leopards. SportPesa Chief Executive Officer Ronald Karauri made the terse announcement on Tuesday afternoon at a high powered press briefing citing hooliganism which he said is tainting their brand. Karauri was flanked by FKF president Nick Mwendwa,KPL chief Jack Oguda and Supersport General Manager Auka Gecheo. FKF on its part announced that clubs that perpetrate hooliganism will from now henceforth suffer heavy penalties including relegation for repeat offenders ,monetary fines and docking of points amongst others. While issuing the statement, Sportpesa CEO Ronald Karauri termed it as unfortunate that it had come down to the tough decision hence placing the stakeholders under such circumstances but insisisted that it was time we do something to curb hooliganism which the company fully supports. However his statement had a lifeline for the clubs with an indication that the package may be reinstated as soon as possible depending on the two club’s official meetings with the company. -We have summoned the officials of the teams to meet within the week and we will reinstate this sponsorship once we are satisfied that actions are being taken to curb this vice that has gripped football, he said. -Sponsors will not just sit back and watch as our brand is tarnished. I think we have done so much to enhance security but all these will be in vain if the teams cannot control the fans, he added. In the presser, the Football Kenya Federation [FKF] also stipulated rules to curb hooliganism in the country with Sportpesa CEO Ronald Karauri referring to the Saturday 16th April’s match pitting Gor Mahia away to Tusker FC at the Nyayo National Stadium. On the stated match day, the match was forced to stop for a moment after referee awarded the Brewers a penalty and the match pitting AFC Leopards against Ulinzi Stars on Saturday 23rd April where fans’ protest forced match officials to call it a day on the match’s 80th minute. The sponsorship for both teams (AFC Leopards and Gor Mahia) were to run for five years from 2016. Rwandese striker Jacque Tuyisenge is living up to his billing and his Ksh 4 million price tag. He has scored a number of crucial goals already this year. On Saturday, he came to the rescue again scoring in the 86th minute just when it seemed as if the game was destined for a scoreless draw. “Tuyisenge is very important to us. We need him the same way he needs the team. The three points are important to us and we now have to win the next game,” Gor coach Ze Maria said after the match. As usual Gor Mahia dominated possession but could not convert the possessions to goals as SoNY Sugar parked the bus. “We dominated the match, but I believe we can play much better than this. But the important thing is that we got the three points,” said Marcelo. Fans were unhappy with the removal of Walusimbi for Kahata. But it was Kahata who provided the all important pass that led to the goal. Blackberry will be credited with the assist but Kahata’s defense splitting pass is what led to the goal. 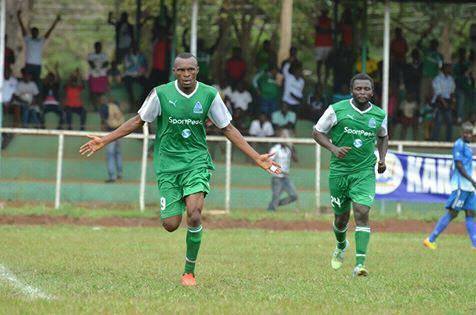 Gor Mahia U20 came from behind to beat their Chemelil Sugar counterparts 3-1. They will now meet Ulinzi in the semis. Gor romped to the semis when Amos Nondi, Wilson Mwenda and Joseph Waruinge scored three unanswered goals in the second half to turn around the game they trailed after 15 minutes when Felix Oluoch confusion inside the K’Ogalo box to notch the opener. Just before the break, Waruinge who is marking himself out as a superb dribbler,combined well with Nondi who laid the ball off to Mwenda but the latter blasted his effort wide in the notable chance for Gor in the first half. Chemelil came out intent on doubling their lead after the break and fashioned two quick chances that lacked an end product but K’Ogalo battled back to equalise in the 60th when Nondi beat the diving Chemelil keeper Aimo Richard with a neat finish. Waruinge then dribbled into the box and Aimo hacked him down to earn the spot-kick that Mwenda made no mistake to give Gor a 2-1 lead ten minutes later. Maurice Ouma’s charges smelt blood and turned on the screw with Waruinge hitting the woodwork with Aimo well beaten before he got the goal he richly deserved when he fired in K’Ogalo’s third in the 87th to keep his hunt for the Golden Boot alive with his third of the tourney. AFC Leopards were eliminated after losing 4-1 on penalties to Mathare United. 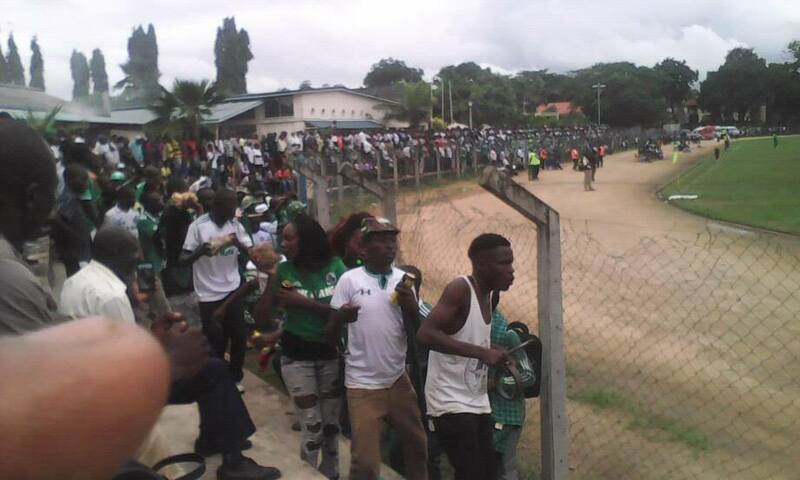 Gor Mahia earned a hard fought 1-0 win over SoNy Sugar much to the relief of fans. The match seemed destined for a scoreless draw until Jacque Tuyisenge struck in the 86th minute. It was another opportunity for Gor Mahia’s dependable striker Jacques Tuyisenge to encrypt his name on the score-sheet when his side faced off with Sony Sugar on Saturday 23 April and the Rwandese never disappointed by a thunderbolt past Sony’s keeper on the 86th minute to hand K’Ogalo all the points. Sony Sugar were in search of their second victory of the season and Salim Babu had showed the intent by fielding a relatively stronger squad which managed to hold the defending champions Gor Mahia in the entire first half. Notably, Ronald Omino, Karim Nizigiyimana , Godfrey Walusimbi and Tuyisenge were instrumental for K’Ogalo in the first 45 minutes with a Nizigiyimana-Tuyisenge link which occasionally motivated fans before the maximum points were recorded. Ze Maria, who evidently was in dire need of a victory after experiencing winning drought in the last two matches, read the game and decided to bring in Eric Ouma, Francis Kahata and Jacob Keli in the second half in a move which finally paid off. 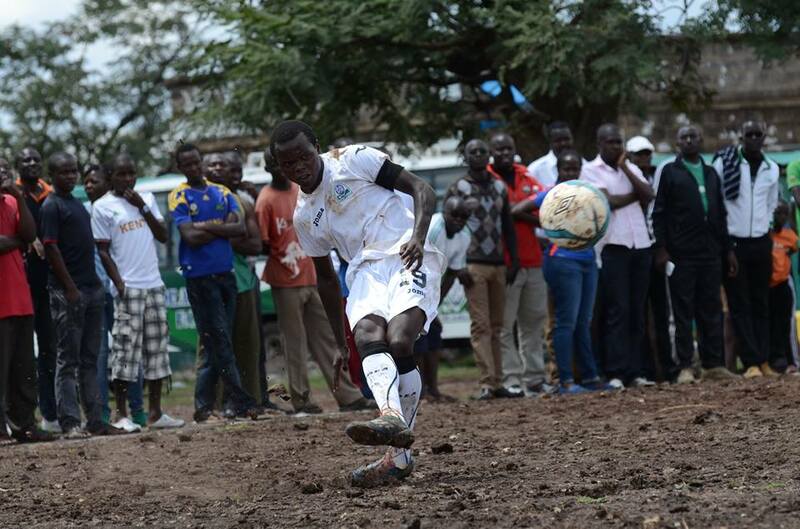 It started with a Tuyisenge free-kick on the 49th minute through his off-the mark header on the 62nd minute to the 86tm minute glory when George Odhiambo picked out Tuyisenge inside the box and the latter put it right to the net.However before that,Sony Sugar’s Justine Monda had come closer with a free-kick which in turn acted as a motivator for K’Ogalo. The win makes it third for the Brazilian coach Ferreira Marcelo and the forth for Tuyisenge whose goal tally has now risen to four. 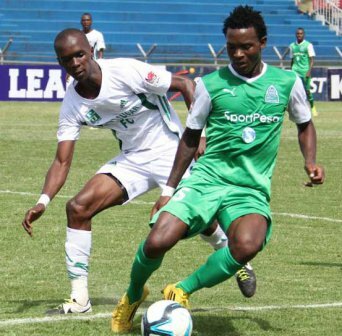 Gor Mahia will resume their hunt for 2016 Kenya Premier League points when they take on SoNy Sugar at the Nyayo stadium on Saturday. The match was initially scheduled for Afraha stadium in Nakuru. This is because Kasarani was booked for another league match, City stadium is unavailable while Nyayo stadium was initially booked for the match between the Kenya U20 side and their Sudanese counterparts. Nyayo became available once Kenya was disqualified. New coach Jose Marcelo aka Ze Maria has yet to convince fans that his samba touch . Fans will be eager to see an improvement in results. So far Kogalo have won only two out of five matches. They have only conceded six goals which means the defence and goalkeeping departments are still solid. And Gor Mahia have dominated large swathes of matches but have been unable to convert possession into goals. Boniface Owino who was between the posts for the last two games will likely be in goal again as he awaits the disciplinary measures that KPL will met out againt him for pushing the referee during the chaotic encounter with Tusker last Saturday. KPL are due to make a ruling next week. Last year SoNy proved a tough nut to crack. 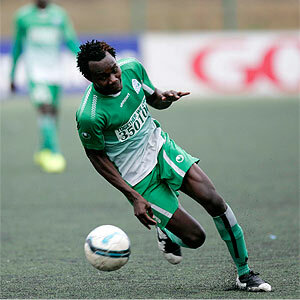 Gor Mahia beat them 1-0 in an intense battle thanks to a goal by Innocent Wafula. 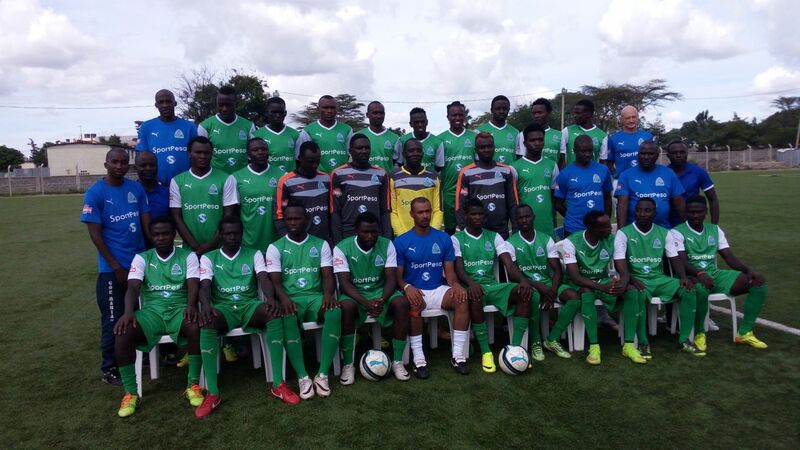 It was the win the sealed the 2015 KPL title for Kogalo. The good news for Gor Mahia is that SoNy Sugar are also having a rough season. One win from nine matches has left them second from bottom. Gor Mahia will be looking for options to sharpen their attack which has been blunt during the June transfer season. 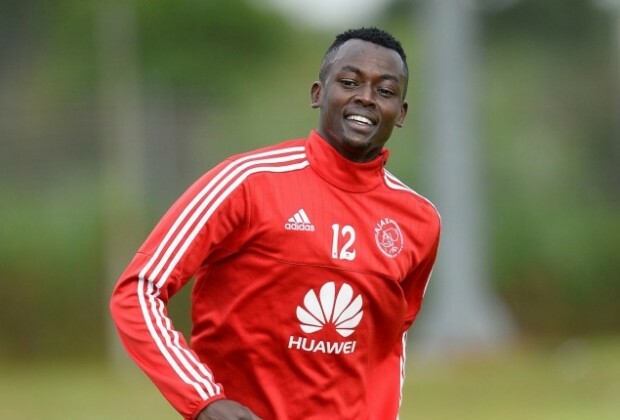 However club official Ronald Ngala has ruled out signing any foreign players. Former club striker Meddie Kagere has been training with the team at Camp Toyoyo and rumours have surfaced that he could return to the club in June. But the club already has five foreigners which is the KPL lilmit. The five are Karim Nizigiyimana, Jacques Tuyisenge, Abouba Sibomana, Khalid Aucho and Geoffrey Walusimbi. Ultimately however, it is up to coach Ze Maria to determine whether keeping the current set of foreigners is more important than finding a fit and sharp striker who can put the ball in the net regularly. So Kagere could very well convince the coach. Another option that has been discussed is to recall in form striker Timothy Otieno. A club official mentioned this as a likely possibility. Still it is difficult to understand how Nuttall would have selected Otieno ahead of Michael Olunga or Meddie Kagere. Otieno has been in form and was named KPL player of the month in March. He is currently among the leagues leading scorers. But Otieno appears to be liking his time at Rangers. “I feel good as a player because, as you all know, I didn’t get any playing time from where I moved (Gor Mahia) so I take this time to thank my team-mates and the coach (Zedekiah Otieno) who believed in me to allow me showcase what I have; and you can see that within the first two months I have emerged the best player. I think this season is mine, ” he said to futaa.com last week. New coach Ze Maria will need to do a lot of convincing for Otieno to seriously consider returning.